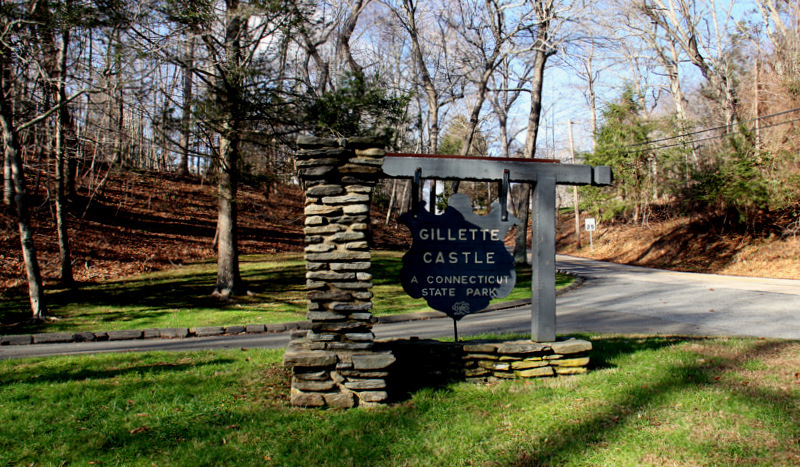 On a ridge at the site, Gillette constructed a magnificent hand-tooled stone castle where he hoped to enjoy his retirement in the solitude of his estate. 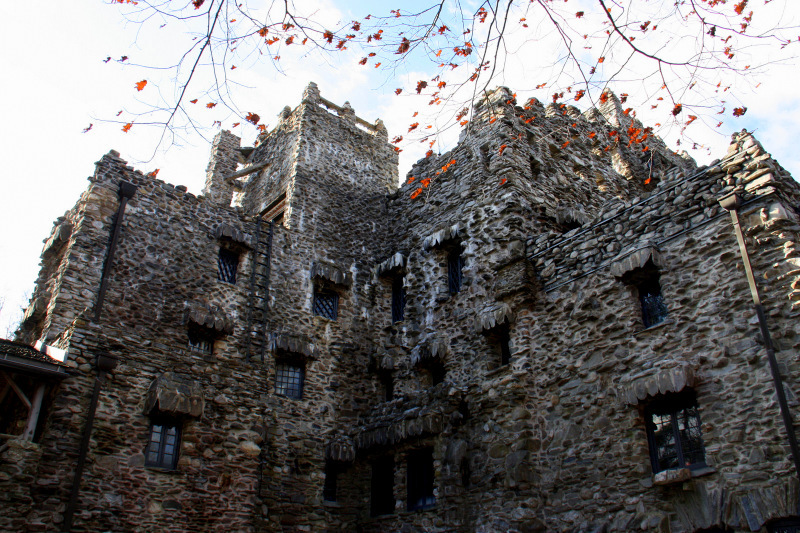 Through the years, the strange-looking edifice on the high bluff became known as Gillette's Castle. 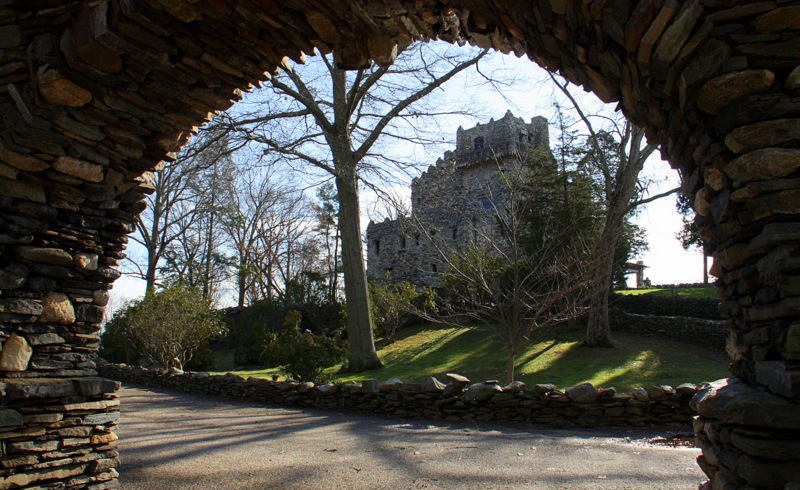 Today the castle is a Connecticut State Park and is open to the public. 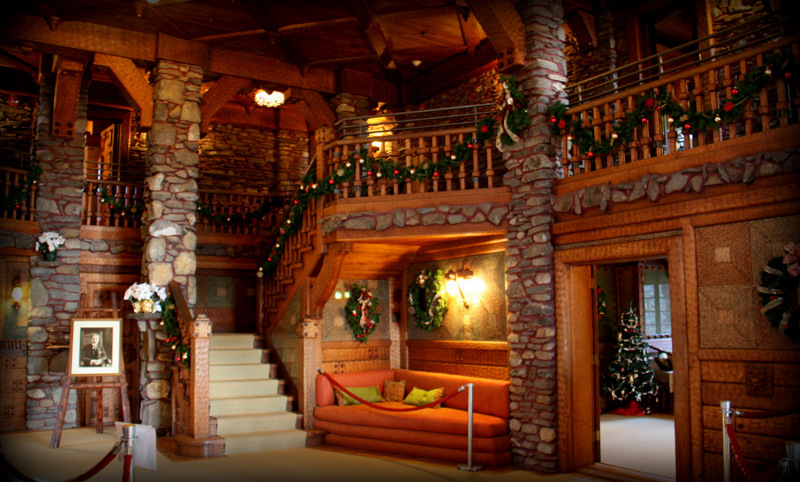 Join us on a special tour, at a particularly wonderful time of year -- the holiday season in New England. 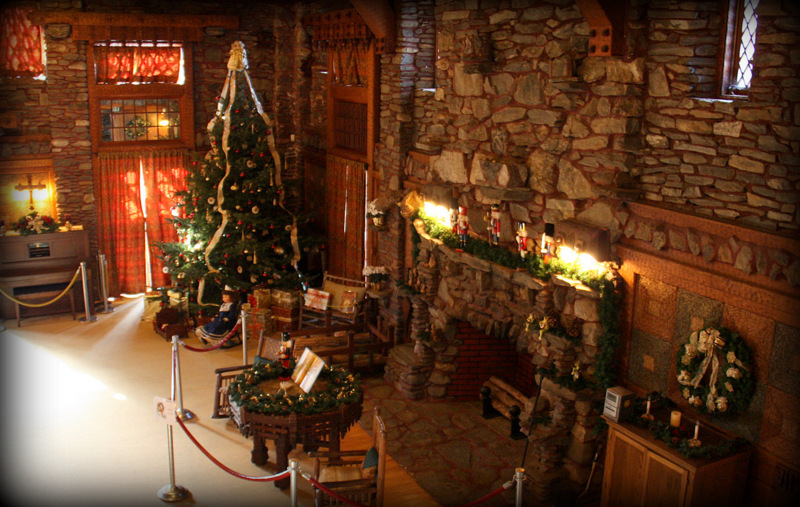 John Gillette had entertained many theater and important holiday guests during his nearly 20 years of residence at the castle. 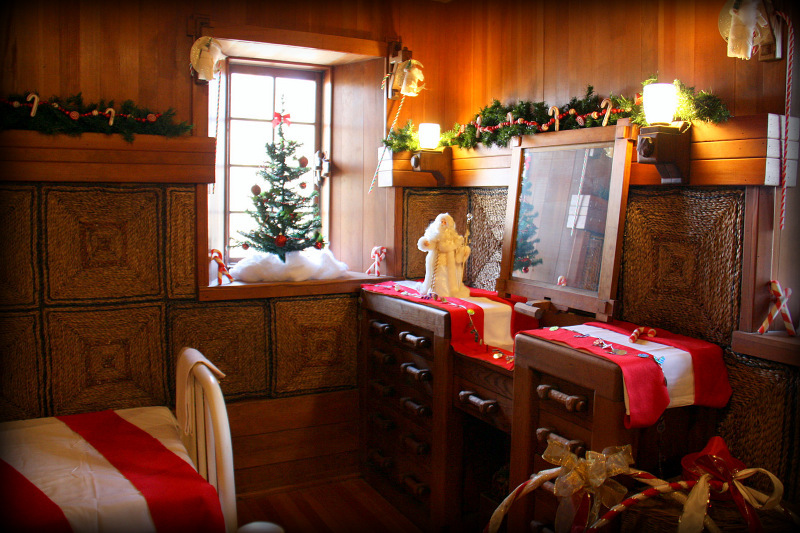 He passed away while living at the castle three months after the Christmas of 1936. He was 83. 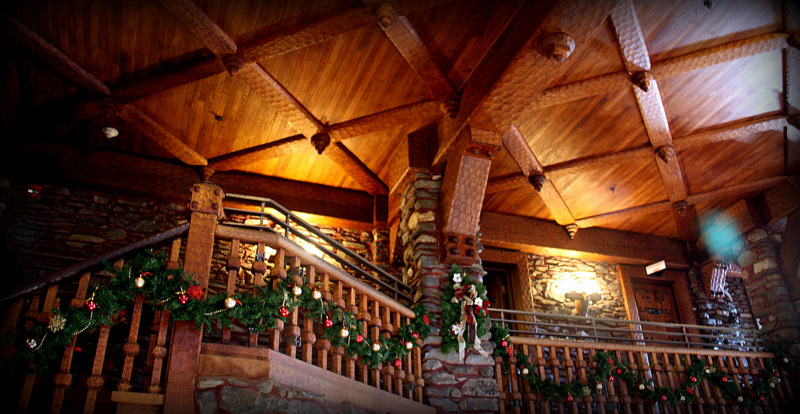 Each room is like a character in one of Gillette’s plays. 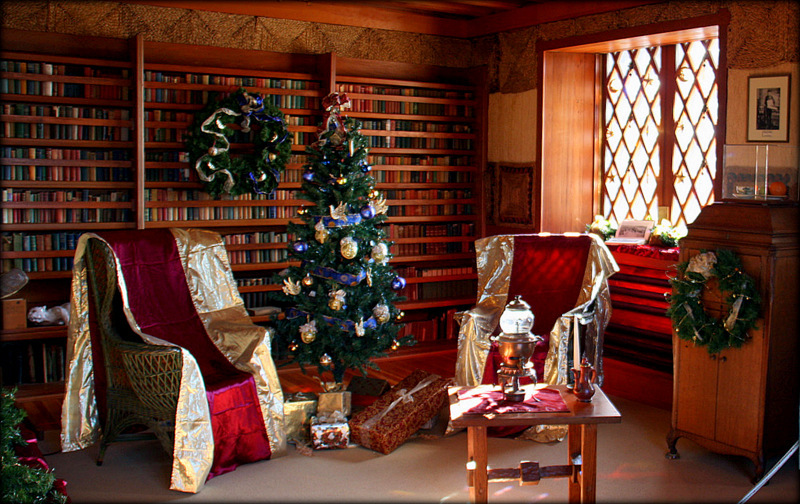 Light streams through the fretted windows of every chamber, illuminating each to a warm yuletide mood. 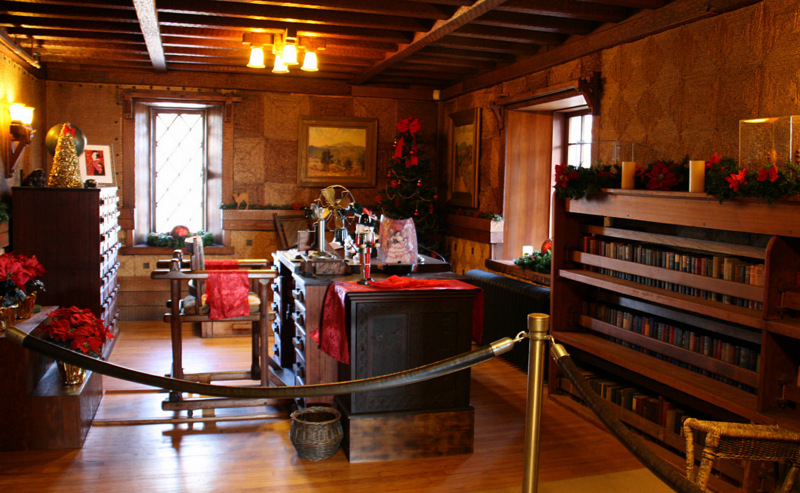 A visit to Gillette Castle during the winter holiday season is a step across the threshold of Christmas past. It's an introspective experience that we highly recommend. 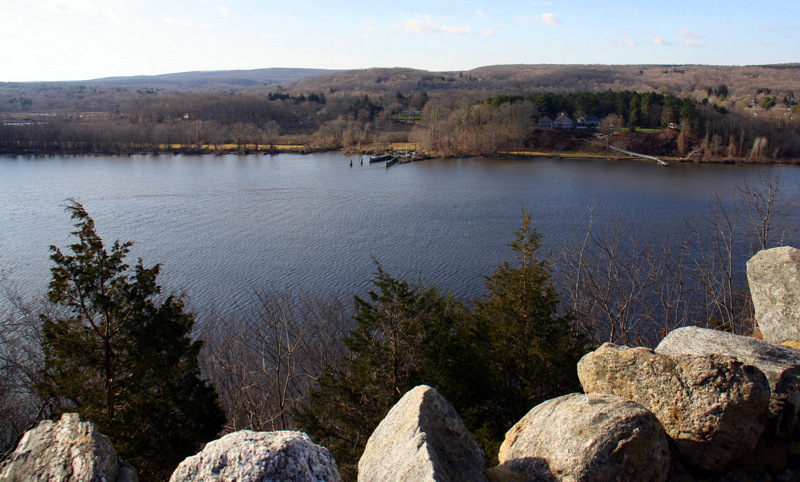 The park is at 67 River Road in East Haddam, Connecticut. Check out the website here.